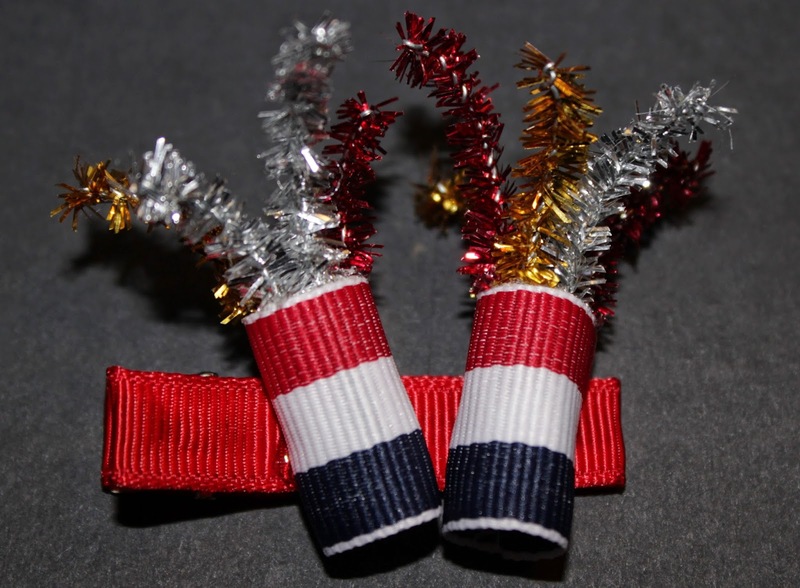 Today’s project was a Firecracker Clippie, inspired by this pin of a former Etsy listing. Take the pipe cleaners and curve the top halves slightly. I also used my flat-nose pliers to fold in and flatted the edge because I’m paranoid that it might scratch someone. Take your 7/8″ ribbon and hot glue them into rolls, like below. One at a time you should now apply hot glue to the bottom quarter of the pipe cleaners and attach them inside the rolls. I put four in one and five in the other. After this part is done attach your firecrackers to your covered hair clip and enjoy!